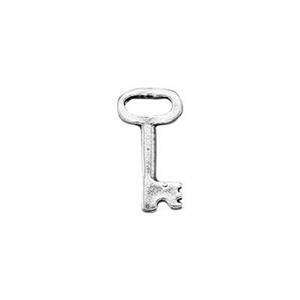 Lock and key silver charms symbolize love and fidelity. Sizes range from teeny tiny key charms to larger pendant sizes. Check the item detail pages for measurements and complete product information. Also browse our wholesale sterling silver chains.